« When Does Conflict Become “War”? and flip up, over and under on the string that stretches from war to peace. 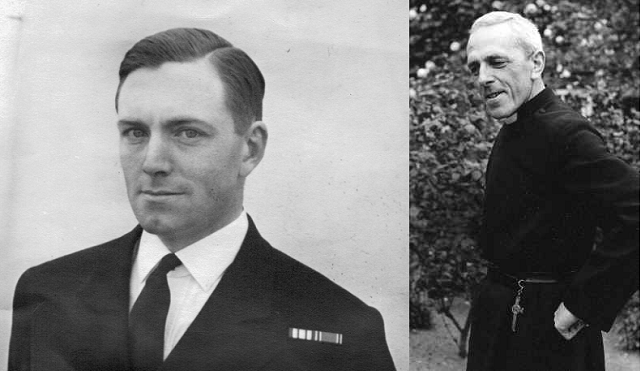 To get to the figure on the left of the image above, Captain Orford Gordon Cameron DSC, RN, my father, we have to track back a couple of generations deeper into family history, to this gentleman whose first name I bear as my own second name. For conspicuous bravery on the 30th of March, 1858, at Kotah, in having headed a small party of men, and attacked a body of armed fanatic rebels, strongly posted in a loop-holed house, with one narrow entrance. Lieutenant Cameron stormed the house, and killed three rebels in single combat. He was severely wounded, having lost half of one hand by a stroke from a tulwar. There’s pride, too, in the story of my own father’s DSC. This operation only confirmed what he had instinctively felt all along — that the surface fleet was completely useless and that it was poorly staffed and ineptly commanded. 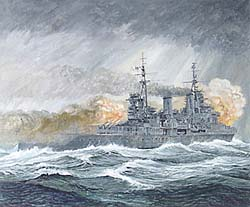 The three battleships Tirpitz ,Schleswig-Holstein and Schlesien , the two pocket battleships Admiral Scheer and Lützow , the battle-cruisers Scharnhorst and Gneisenau , the heavy cruisers Hipper and Prinz Eugen , and the light cruisers Emden , Köln , Leipzig , and Nürnberg would all be decommissioned and summarily scrapped. To the extent possible their guns would be converted to land use. Henceforth, the largest navy ship would be a destroyer and all emphasis would be on the u-boat fleet. 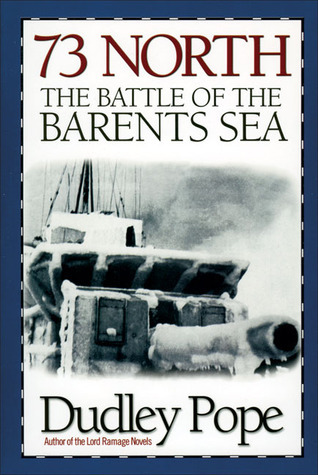 This brilliant action fought by the Royal Navy to protect an Allied convoy to Russia at the end of the year (1942) led directly to a crisis in the enemy’s naval policy and ended the dream of another German High Seas Fleet. His DSC, left, was awarded for gallantry in the Barents Sea engagement, for which Cpt. 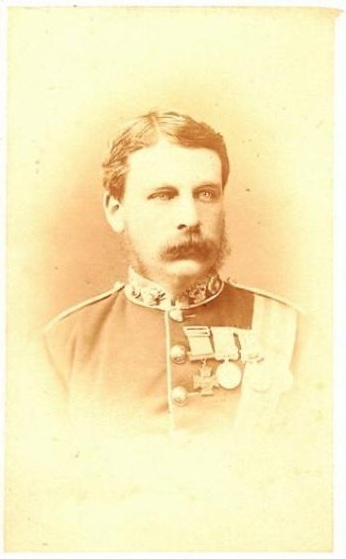 Sherbrooke, on Onslow, was awarded the Victoria Cross, and Rear-Admiral Burnett, on Sheffield, the DSO. 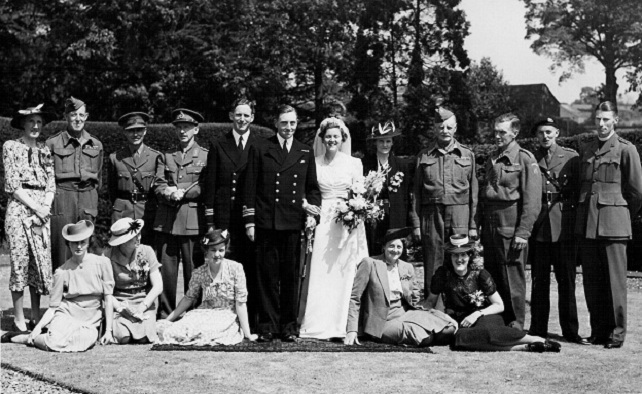 This photo of my parents’ wedding shows, from left to right in uniform, my grandfather Col. Sir Henry Clayton Darlington KCB, CMG, TD; John Wise; my great uncle Gen. Sir Clement Armitage KCB, CMG, DSO; Jan Newnham (best man); my father, Lt. Cdr. OG Cameron; my grandfather Brig. Orford Somerville Cameron, DSO, RA; my uncle Glenton Roslyn Williams; my uncle Colonel Henry John Darlington, OBE, DL; and Rev. Aylmer Peter Cameron, also my uncle. Quite the gang — and not a civilian among them, although admittedly the photo was taken in 1942. My varied aunts — brilliant, eccentric, elegant, delightful, take my word for it — are there too. So that’s my father, and the pole that pulls me towards gallantry and the martial side of things. The other pole is represented by Fr. Trevor Huddleston CR, to the right of my father in the image at the top of this post. I’ll return to Fr. Trevor in my next installment. 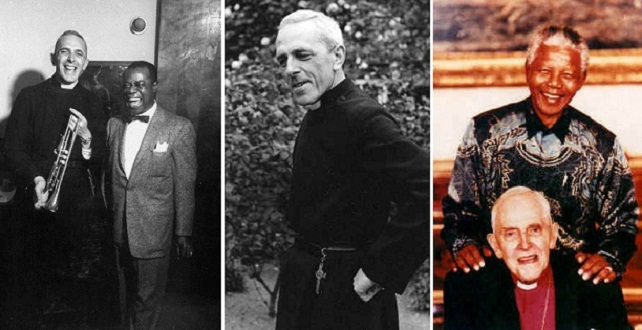 This entry was posted on Tuesday, May 22nd, 2012 at 8:56 pm	and is filed under biography, Charles Cameron, christianity, military, navy, Uncategorized, war, wwii. You can follow any responses to this entry through the RSS 2.0 feed. Both comments and pings are currently closed. Great to know about your background. I enjoy reading your posts. Just one thing, couldn’t resist pointing out. What you mention as ‘Sepoy Rebellion’ was not rebellion or mutiny, it was India’s struggle for freedom. I hope you appreciate that. Yes: I was using the term that I believe my great-grandfather might have used at the time. I have visited the British Residency in Lucknow, and the small British cemetery there… The irony of mourning the British fallen in the heart of a modern Indian city was not lost on me: war is a tragedy for those on both sides. Days later, I was in Vanarasi, passing the Manikarnika Ghat just after dawn — death was there, too, with the heavy veil of tragedy perhaps lifted a little. We are, after all, human, mortal, but also capable of some transcendence. I appreciated the post, Charles. 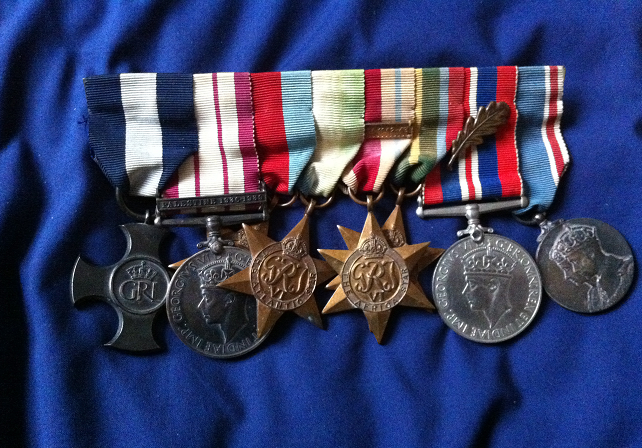 My stepfather served in HMS Norfolk, and participated in, among other things, the Murmansk convoys. From what he said, it was a particularly miserable duty, although the appreciation the ordinary Russians at the destination expressed to the sailors was gratifying to them. My own first impressions of what those convoys must have been like was gained watching the movie of Nicholas Monsarrat‘s The Cruel Sea. I must have been about 10 when the movie came out, shortly after my father died. Indeed. One of the less pleasant tasks was being sent up with hammer and chisel to try to pry the accumulated ice off the superstructure, as they were afraid that it would make the ship too top-heavy and more likely to turn turtle. Splendid pair of autobiographical posts, Charles. Gallantry is a splendid word! Excellent post, Charles! Thanks for sharing your family with us! Thank you Charles, found your post and the contributions extremely moving. (As an aside: For contemporary usage, I tend to use “Indian Rebellion of 1857” because of its neutral language: mutiny or freedom struggle, depending. Your usage makes sense within the context of your post. Oh, I always forget some things don’t work around here and there is an italics icon to use, after all. Sorry. Now why did I use a smiley after that sentence? That was not meant to be there. The general feeling I get from all of that is not very nice and that, as you said, war is terrible for the people involved. I’ve fixed your italics and left the smiley in, Madhu. She was a world-class breeder and trainer of labradors, and wrote several books on the topic. Ch. Midnight of Mansergh, the first in her line of champions (illustrated on the page I linked above), took absolutely no notice of my Aunt Mary’s young visiting nephew, Charles, until he shot a rabbit with his .410 and she was sent to fetch. Midnight must have thought of it a bit like a job interview — I passed muster, and after that, we were friends. hi, I could hardly believe my eyes when I read your entry about your father. Those photos of him plus others were sold at auction about 3 weeks ago at Wareham in Dorset. I bought them but have since sold them myself. A father to be proud of and I’m just sorry that I found your article after I had sold the photos.